Modern technology launches different gadgets, operating system, and apps like Windows application including their latest interface. Windows 8 offers different features unlike other Windows computer interface and systems. Its start menu is in full screen and tile-based which is easier to use. This operating system can also be installed in mobile phones to allow users enjoy its features even if you are not at home. Business establishments nowadays upgrade their operating systems to Windows 8, although there are still things to consider about upgrading. Before upgrading, make sure that all your systems and apps installed are compatible with Windows 8. It can be installed in touch screens, PCs and mobile phones for easy use. This operating system may work well with touch screens than desktop computers and mobile phones. 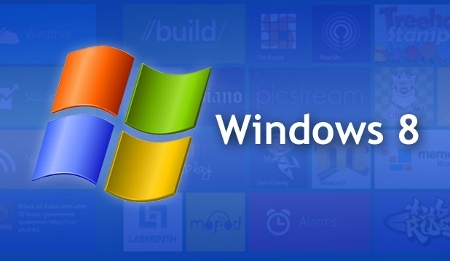 The new Windows operating system is more complicated than other OS like Vista, XP and Windows 7. It needs more training and exploring the new system for more convenience and easy transition of the operating system. That is why companies using the Windows 8 send their employee for retraining so that they can easily cope up handling the basic operation of Windows 8. The most interesting feature of Windows 8 is that it the users can view in full screen feature of Windows 8 may not be compatible with other phones and net books. Using the Windows 8 app in your desktop computer lets you see more programs in your screen but the start menu would not be available. Indeed, Windows 8 apps are useful for business especially in storing the files as well as in creating back up files to the server or external drive. That is why it plays a significant role in the productivity in creating different versions and saving different files. Likewise, there is no worry for overwriting the project that was in progress for a couple of months. In addition, Windows 8 features app that is called File History that is important for businesses working with variety of projects simultaneously. Moreover, there is a Windows 8 app support multiple monitors. This means that the user can increase productivity by having more than two displays. It allows for both screens to use the task bar that is why you need not go back to the primary screen in opening a program or application. Another app of windows 8 that is useful for business is that it allows pinning on either side of the screen particularly if you are using single screen. This app maximizes the use of work space. Likewise, the pinning applications such as messaging and mail are significant for the productivity of the business. Furthermore, the Windows 8 app helps in changing the manner of working because of its flexible operating system. Keep in mind that the productivity of the business depends on how the employees as well as the system works. Conversely, a business that will consider using the Windows 8 as it does not only increase productivity, but also it offers more intuitive, completed and priced solutions.